A federal court has handed a victory to students suing Education Secretary Betsy DeVos over her efforts to dismantle protections against fraud by for-profit colleges. 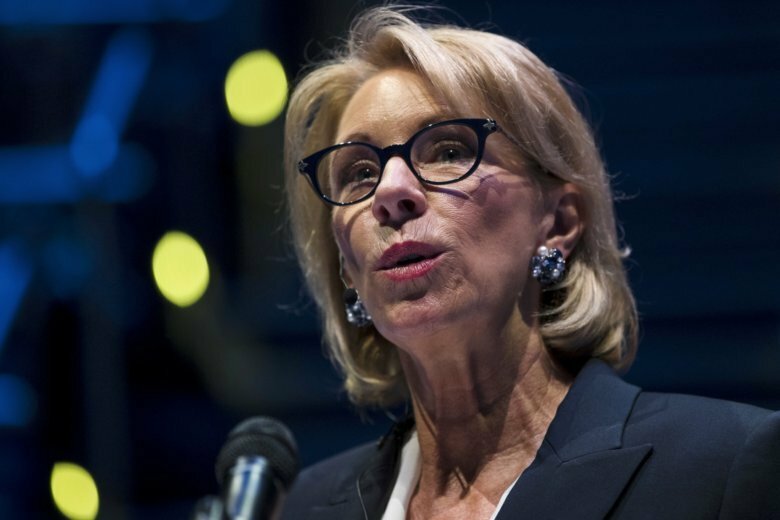 WASHINGTON (AP) — A federal judge has ruled that Education Secretary Betsy DeVos’ move to ease protections for former students of for-profit colleges should be reversed, handing a victory to those who said they were defrauded by their schools. But U.S. District Judge Randolph Moss put his ruling on hold for 30 days, giving the Education Department and others a chance to respond. Moss had ruled last week that DeVos’ decision to freeze Obama-era protections for defrauded students was illegal. But he went a step further Monday and said the regulation needs to be voided. The Education Department did not comment. But while the court ruling late Monday was good news for students, it was unclear how much weight it would carry or when students may enjoy the benefits of stronger protections. The department has set out to rewrite that regulation in a way that would weaken protections for students. The new policy is expected to be announced by Nov. 1 and thus could overtake the court ruling, although attorneys representing students have vowed to attempt to block that new regulation in courts. The department also has asked for 60 days to prepare if the court rules that the Obama-era regulation must take effect. The Obama administration cracked down hard on for-profit colleges that misled students about job and salary prospects and left them with few skills and large student loans. Under President Barack Obama, two major for-profit college chains were closed down, tens of thousands of their students had their loans fully forgiven and new regulations were put in place to police the schools and help students get their money back. DeVos has sought to dismantle those protections, saying they were too broad and unfair to taxpayers who ended up shouldering the costs for students who may not have necessarily been harmed. DeVos says she is now updating those regulations to balance the interests of students, taxpayers and colleges.